Techwise: a drag & drop tech magazine theme with mega-menus, minisites, trending topics, and a whole host of other features to keep your readers engaged. MagXP: a responsive WordPress theme for gadget and tech sites. The homepage has drag & drop sections. 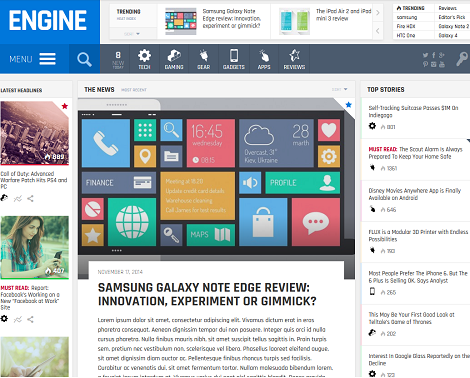 The theme has custom widgets, an integrated review system, and unlimited sidebars. 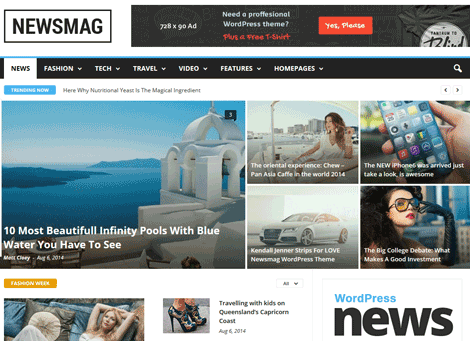 SmartMag: a dynamic WordPress magazine theme for tech and review sites. It has a drag & drop page builder, mega menus, WooCommerce support, and an integrated review system. Engine: a drag & drop news theme with smart sidebars, drag & drop page builders, and support for BuddyPress/bbPress/WooCommerce. 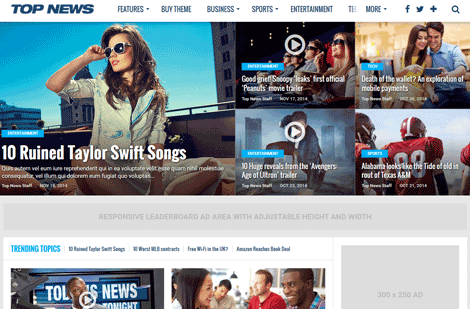 The theme is dynamic and fully responsive. 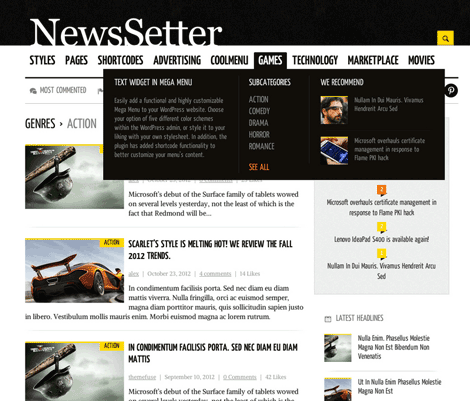 News Setter: this theme might work well for tech magazines, gadget sites, and everything in between. It has multiple header styles, a mega-menu system, and templates for reviews and other pages. 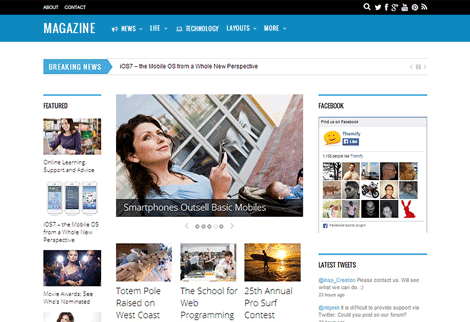 Magazine Pro: this Genesis child theme has 4 color styles and 6 layout options. It is easy to customize and mobile responsive. 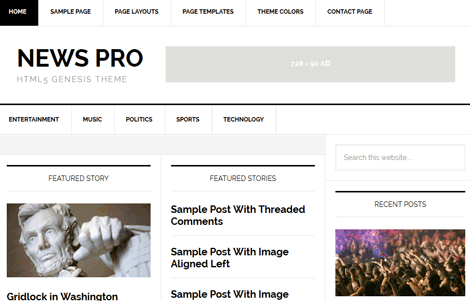 News Pro: an elegant child theme for Genesis. It supports audio, video, and regular posts. It has 5 color styles and 6 layout options. 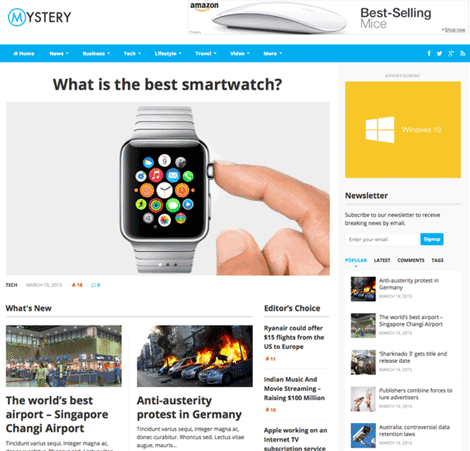 Mystery: a magazine theme with various layout options, unlimited color schemes, mega-menus, and an ad management system. 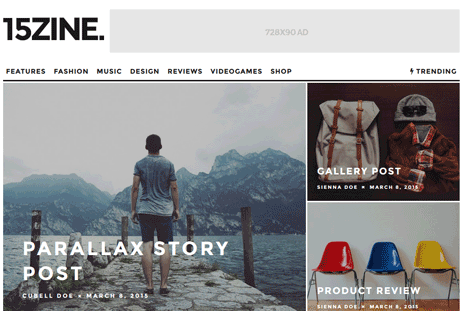 15Zine: a newspaper theme with responsive and retina-ready design. It has AJAX mega-menus. The theme also features a live search functionality. 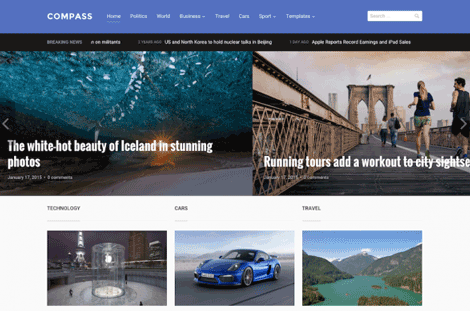 Compass: a highly customizable theme powered by the ZOOM framework. It is responsive and ready for retina displays. It comes with a dynamic homepage builder and a touch slideshow on the homepage. 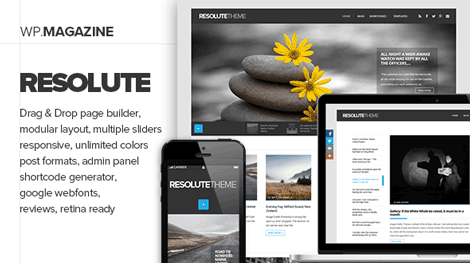 Resolute: this theme features a drag & drop page builder, a modular layout, various blog and slider blocks, jQuery sliders, and Font Awesome & Fontello integration. It is translation ready. Sparkle: a 100% GPL theme for gadget sites. It has a fully responsive and dynamic design. It is compatible with WooCommerce and bbPress. The theme is ready to be translated. 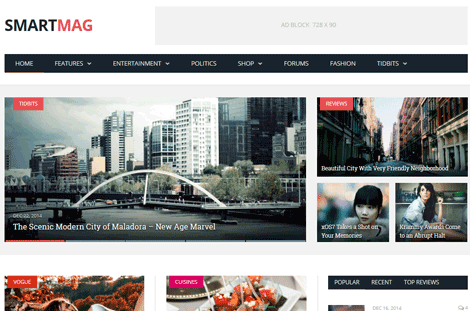 Newsmag: this dynamic magazine theme offers a smart sidebar, custom drag & drop gallery, an ad system, 9 post templates, and various custom widgets. 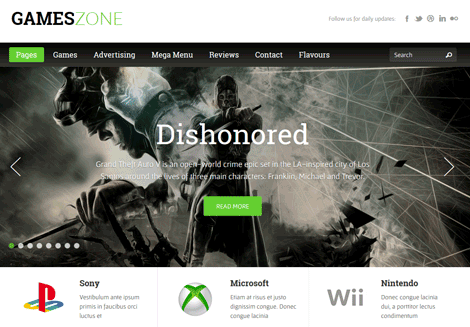 Game Zones: designed for game magazines and tech blogs. 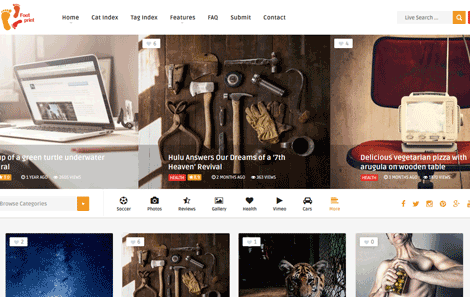 This responsive theme features an attractive mega-menu system, built-in page layouts, search filters, and more. MAG Grid Magazine: a clean magazine with multiple styles, a responsive menu plugin, 10 custom widgets, live search, and unlimited colors. 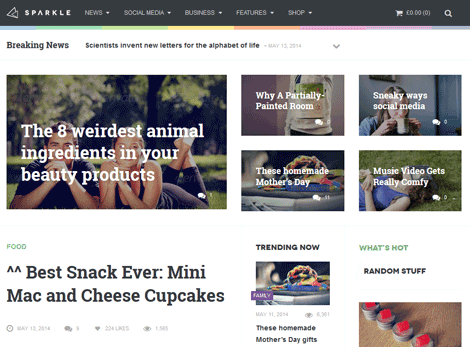 Themify: a 3-column theme for tech magazines, news sites, and established blogs. It is responsive and retina ready. It has 42 pre-built layout options, mega menus, and an ad-friendly design. 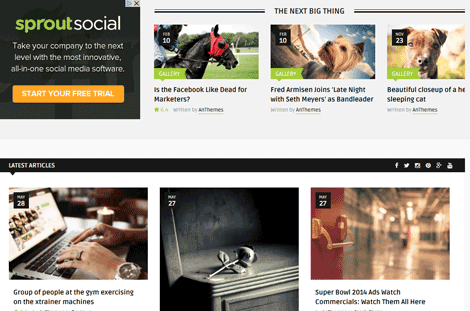 SaladMag: this theme could work for a variety of sites. It offers a mega-menu system, various custom widgets, and RTL support. It is ready to be translated. Foot: a theme for content sharing websites. It is coded using HTML5 and CSS3 techniques. It has front-end submissions, live search, AJAX login, and a review system. 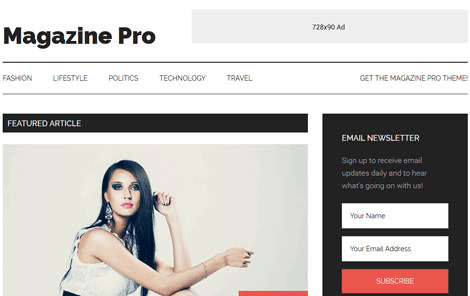 Top News: a WordPress news and magazine theme with a drag & drop homepage, 11 custom widgets, 5 ad units, and WooCommerce support. 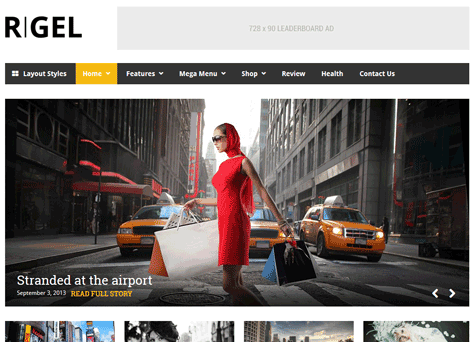 Rigel: a responsive, retina ready magazine theme with 15 styles, AJAX search, a drag & drop content builder, and support for WooComemrce. It is ready to be translated. 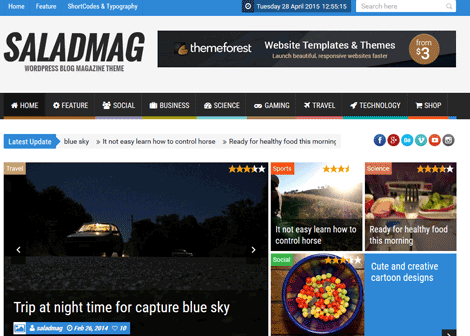 Have you found better WordPress themes for tech magazines and gadget sites? Please share them here.